What’s more, the Libyan invasion did more to undermine human rights than it did to protect them. 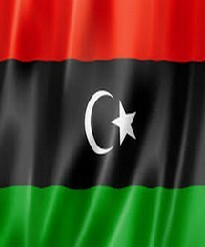 According to Amnesty International’s most recent report on Libya, there are now three rival governments vying for power in the country along with various militias, smugglers and other sundry armed groups. As Amnesty International explains, all participants in the armed conflict in Libya “carried out indiscriminate attacks in heavily populated areas leading to deaths of civilians and unlawful killings. Armed groups arrested and indefinitely detained thousands of people. Torture and other ill-treatment was widespread in prisons under the control of armed groups, militias and state officials.” And, to top it all off, slaves are being sold in public markets in Libya – something not seen in the world for over a century. Moreover, one of the main reasons, we were told, that NATO needed to intervene in 2011 was to save Benghazi from imminent harm from the government forces of Gaddafi. However, Hillary Clinton’s own internal emails show that her team recognized that any humanitarian problems confronting Benghazi had passed by the time of the NATO bombing. 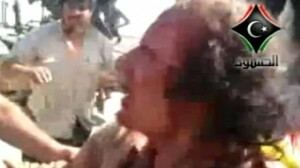 For example, Clinton’s assistant, Huma Abedin, in an email dated February 21, 2011 – that is, just a mere four days after the initial anti-government protests broke out in Libya – explains that the Gaddafi forces no longer controlled Benghazi and that the mood in the city was indeed “celebratory” by that time. Indeed, as explained to me by Khaled Kaim, Gaddafi’s last foreign minister, who I recently met in Venezuela, he personally urged US representatives at the UN Security Council to hold off the planned bombing raid for one hour so that UN observers on the ground could confirm his claim that Benghazi was not under threat. Of course, his pleas were ignored. Kaim’s warnings that the impending invasion of Libya would only unleash more chaos and terror on the world were also disregarded. “Western security, construction and infrastructure companies that see profit-making opportunities receding in Iraq and Afghanistan have turned their sights on Libya… Entrepreneurs are abuzz about the business potential of a country with huge needs and the oil to pay for them, plus the competitive advantage of Libyan gratitude toward the United States and its NATO partners.